DANA POINT — Three staff members aboard the Ocean Institute’s Spirit of Dana Point tall ship were busy prepping the vessel for the day’s activities Jan. 18, when they heard cries for help coming from a nearby vessel. About 80 feet away from Spirit of Dana Point, the crew spotted a woman in distress, hanging half on and half off a Columbia sailboat. It wasn’t until the crew’s 14-foot dinghy closed in on the boat that the situation became clear. The woman, Meredith McKenzie, was attempting to pull her 65-pound dog, Duke, out of the water. According to the Ocean Institute, the one-year-old boxer had fallen in while trying to board the sailboat in Dana Point Harbor, entangling himself in the vessel’s lines in the process. Carly Rocha, Mary Elizabeth Portwood and Eric Martel immediately put their training to work. According to Portwood, “We unhooked the dog’s paw, hoisted the dog on our dinghy and waited for the woman to catch her breath.” Duke, who is deaf, was handed back over to his owners, Randy and Meredith McKenzie. 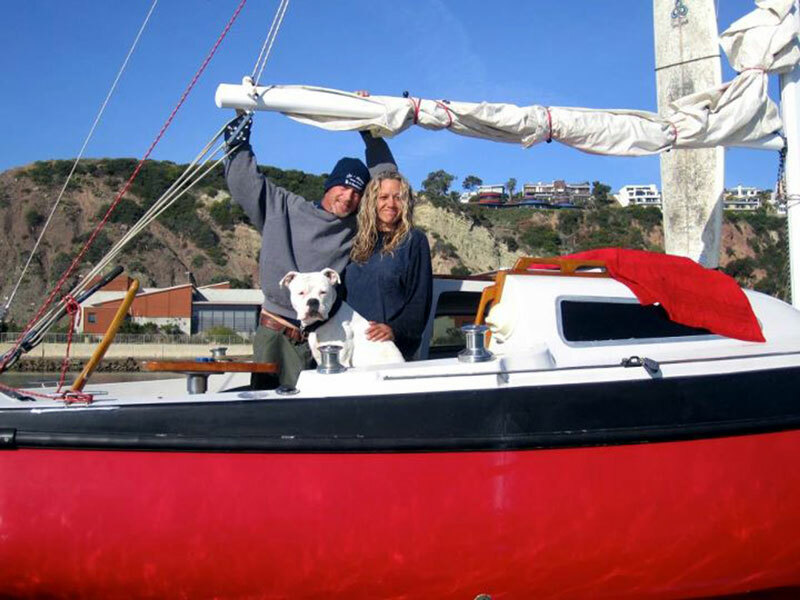 The McKenzies had only recently purchased the boat, around Christmas. The couple plans on getting Duke a life vest, and they are still training the pup on how to board the boat using the swim step. Sign language is Duke’s main form of communication.